Here we would like to recommend our new item Calendar Clock with Night Light. 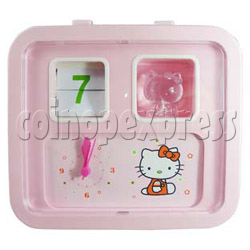 It is a quartz clock has flip-up calendar with alarm and night light function. Use four AA batteries as power. We offer it with the most competitive prices.